In Atlanta’s East Lake neighborhood, the local Drew Charter School consistently ranks among the Top 10 schools in the district, and has done so for over a decade with one of the largest populations of low-income students in the city. It’s just one of the ways the Purpose Built Communities model has helped transform this high-crime neighborhood, and others like it across the country, into places to call home. They’ve done it by focusing on housing, education, and wellness simultaneously, using an integrated and sustainable approach to community revitalization. Focused in a well-defined neighborhood. By changing the place, we change outcomes for the people who live there. Established a “community quarterback” non-profit organization to lead the revitalization. The East Lake Foundation brings together community members, builds partnerships, and secures funding to ensure the implementation of all aspects of the community vision. Developed high-quality, mixed income housing, with safe, walkable streets and community engagement programs for residents. Created an “education pipeline” with a cradle-to-college philosophy, including early learning, K-12 charter school, afterschool programs, scholarships, and college readiness coaching. 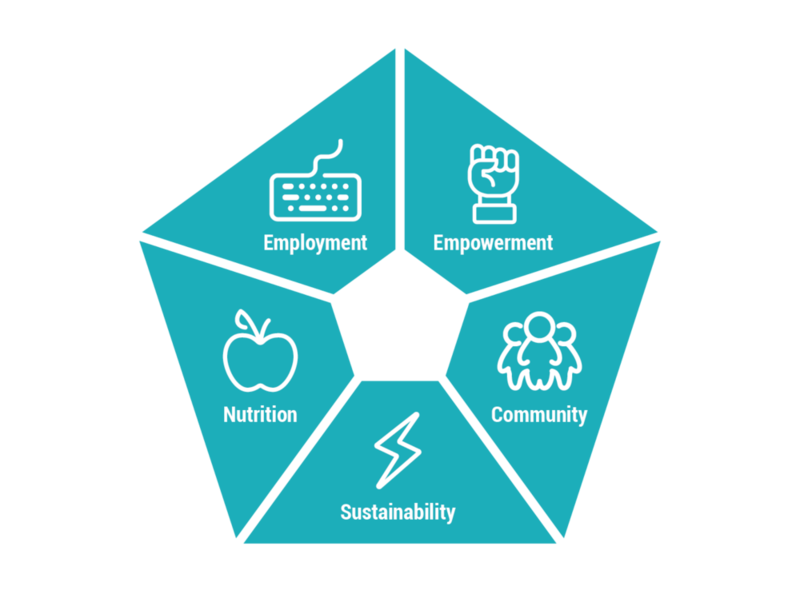 Brought programs and facilities to promote healthy lifestyles and create jobs, including micro-entrepreneurship programs, a full-service YMCA, the Healthy Connections support program, and a grocery store.